Huawei Mate 20 RS Porsche Design will be Available in PH Starting February 9! 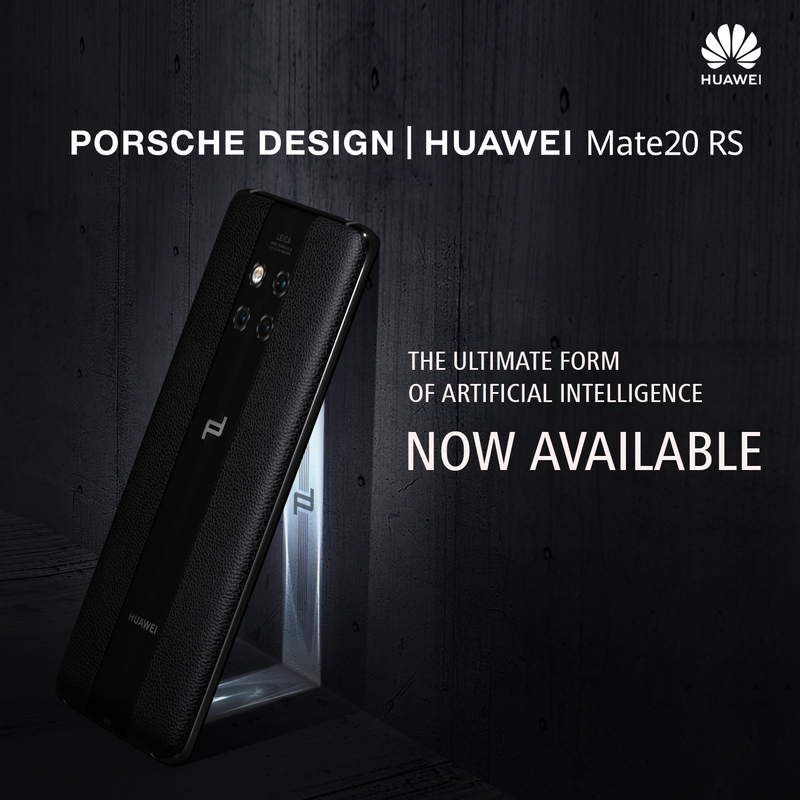 Huawei has recently announced that the limited edition Porsche Design Mate 20 RS is set to be available at select Huawei Experience Stores in PH starting February 9, and is priced at PhP99,990, giving fans a chance to experience a device which exudes luxury design and innovative features. The Porsche Design Huawei Mate 20 RS is powered by a Kirin 980, the first commercially available 7nm SoC that packs 6.9 billion transistors into a form factor the size of a fingernail. The phone boasts a Leica Ultrawide Angle triple camera which comprises of a 40MP RGB sensor, a 20MP Leica sensor with ultrawide angle lens, and an 8MP sensor with telephoto lens. The limited edition Mate 20 packs a 4,200mAh battery that supports that supports 40W Huawei SuperCharge. This allows users to charge the phone to approximately 70 percent in just 30 minutes. It also supports 15W Wireless Quick Charge and Wireless Reverse Charging, which lets the device act as a wireless power bank.